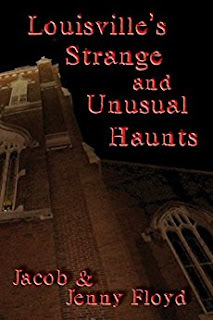 Paranormal nonfiction is an interesting subject to dive into, not just because of the history you pick up along the way, as well as the entertaining and spooky ghost stories, but also because of the divisiveness that exists surrounding the paranormal circles. For any of those who have ventured into the field of ghost hunting and paranormal investigation (yes—we do think there is a difference), you know that there exists a few different methods and outlooks on the topic. For Jenny and me, we like to blur the line between scientific and metaphysical. We believe answers can be found with both viewpoints. In a sense, the paranormal could very well be a science that has yet to be explained. Perhaps, one day, ghosts and the afterlife (should they exist) will be explained by scientific discovery, such as many aspects about space, ailments, and even the workings of the Earth itself, were once considered anomalies but in time were explained by science. Even what is considered metaphysical now could very well be just another brand of "science" that has yet to be fully tapped. While we could write pages upon pages on the heaps of paranormal theories that exist, the fact remains that none have proven or disproven the existence of ghosts. There have been a lot of pictures and video capturing eerie events, and there have been a lot of theories offered to "debunk" certain paranormal beliefs, neither of which truly serves as proof of either side's arguments. We call ourselves ghost hunters because we believe there are ghostly occurrences out there that cannot always be tied to the physical, tangible, perceived realm of the living. What they are and where they come from are the questions we are often theorizing about. Is it all residual? Are there intelligent spirits hanging about? Are there entities that were never human that exist among us? Those are just a few of dozens of questions we often ask. At the end of the day, we are out there looking for a good ghost story, both to ponder and to write, and that's where books such as Kentucky's Haunted Mansions and Louisville's Strange and Unusual Haunts come from. We use a few different methods for gathering these stories. Some of the accounts we report were experienced by us firsthand, usually in the course of some ghost hunt we conducted. Among those are Eastern Cemetery, Cave Hill Cemetery, and the Seelbach Hotel in Louisville's Strange and Unusual Haunts. 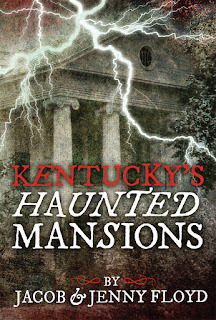 A few are from personal past events, such as the Brooks Plantation in Kentucky's Haunted Mansions. When writing about accounts such as these, we are careful not to imply that we know with certainty these are ghosts or ghostly happenings, but that these events are definitely hard to explain and were rather chilling to experience. During our search for fascinating paranormal tales, we also seek out witnesses or people who have heard stories of such events. While building our tours and seeking stories for Louisville's Strange and Unusual Haunts, there were a few times when Jenny, who is empathic when it comes to finding spiritual energy, would tell me to stop at a place we were driving past and then say, "That place feels like it has a ghost. Go in and talk to them." Sure enough, when I would go in and talk to the people, I would get very elaborate stories of alleged ghosts within the buildings. At one of these places, after we received our ghost story from the owner, Jenny felt the urge to ask another employee if she had experienced anything unusual in the building, to which the young lady gave us a very detailed haunt at another place she used to work at, which turned out to be a place that many people had ghostly experiences at. Just that uncanny ability Jenny has to find those who have serious ghost tales to tell, when she knew nothing of these people or places previously, is pretty mysterious in its own right. Outside of firsthand experiences and secondhand accounts, we are never shy about perusing the internet and looking through books for stories. Being as fascinated by the paranormal as we are, we don't want to just confine ourselves to areas where we can travel. So, when gathering stories from online and books, we are extremely careful to make sure we cross-reference the accounts with other claims, comb through histories to make sure they are consistent, and ensure that we tell the stories as close in accuracy as we possibly can. Part of the fun of doing this is learning the histories of buildings, areas, and the people who were involved with their pasts. That is just as integral, if not more so, as the ghost stories themselves, in maintaining the integrity of the work. Of course, our books are not intended to be historical references, so we cannot always be completely certain of every tale's accuracy—especially since we are dealing in terms of the paranormal—but, we do take measures to see that the story is as close to the truth as possible. In the end, what we write is meant solely for entertainment purposes. When you're dealing with the paranormal, there are many who don't believe and would call it all "fiction." Though it isn't made up out of our heads, skeptics believe someone made it up long ago, or imagined something they could not correctly interpret. But, for those that believe, we are reporting incidents of the unexplained, which entertains paranormal enthusiasts while provoking thoughts and theories and accounts of their own personal experiences, which is our intended goal. So, while it's good to have the firsthand experience, it's also good to seek out the stories of others, and to look through the plethora of reports online and in books—but always make sure to give credit to the sources, and always make sure to keep an open mind. Jacob and Jenny Floyd (also known as The Frightening Floyds) are paranormal authors, ghost hunters, and tour operators from Louisville, Kentucky. Jenny is a sensitive and an empath that has been around the paranormal for years. Jacob Floyd has been a writer and paranormal enthusiast for years and enjoys all things creepy and macabre. 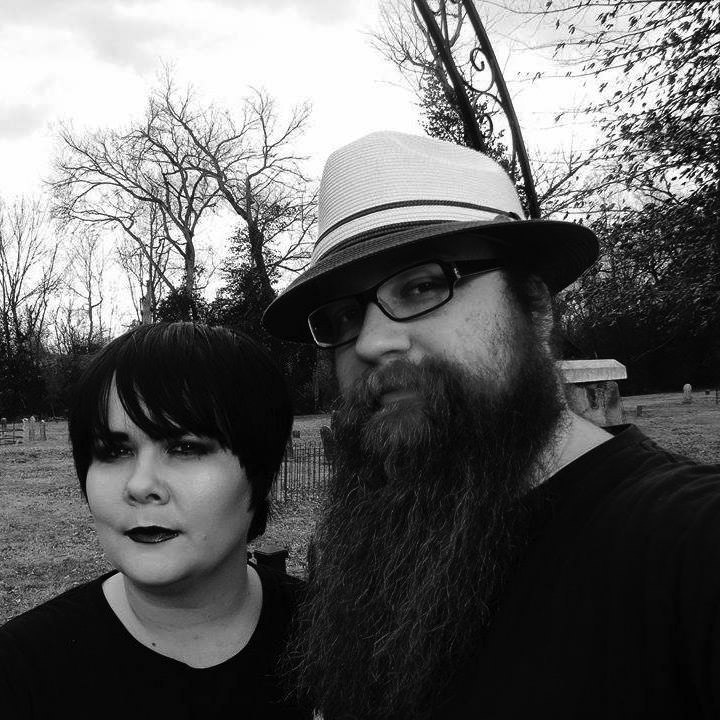 They recently began two tours in Kentucky—the Shepherdsville History and Haunts Tour and the NuLu History and Haunts Tour—and have been a part of numerous ghost hunts in graveyards, hotels, and other various buildings. They live in a home surrounded by pets and one possible ghost. 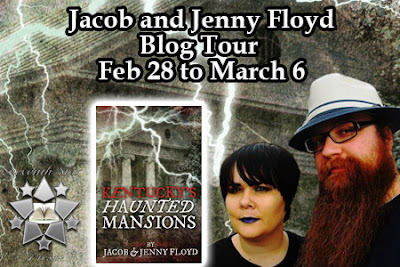 Kentucky’s Haunted Mansions, from paranormal authors Jacob and Jenny Floyd, will take you into the homes of the dignitaries and luminaries that made Kentucky industrious through business, bureaucracy, and bloodshed. Beyond the rich, sweeping history that these men wrote, there lies the spiritual energy their lives left behind. Some of these mansions are alleged to be haunted, and many ghostly reports have come out of them. Read about phantoms such as the angry young girl at Griffin Gate to the vanishing cat of the Loudon House. Explore the accounts of the Aging Lady on the stairs at Elmwood and the Creature of the Cross Breeze at Wickland Estate Discover several of the most elegant and haunted homes across the commonwealth. But rest assured, foolish mortals, there are no hitchhiking ghosts here—that we know of!